Day Program Builds Life Expressed Through Art, Advocacy – Included. Supported. Empowered. 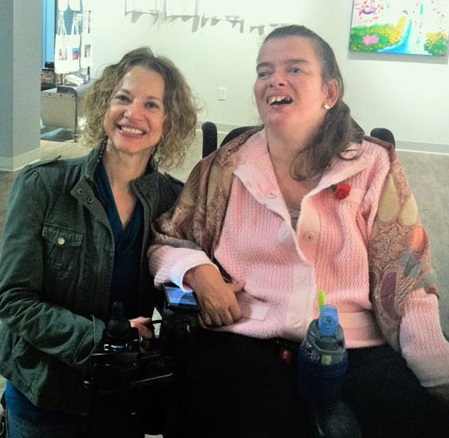 ST. LOUIS PARK, Minnesota – Disabilities shouldn’t stop a person from doing things. That’s a message both spoken and lived by artist Marrie Bottelson at Partnership Resources, Inc. (PRI) in St. Louis Park. “If you have a disability, you can do whatever you want, as long as you put your heart and mind to it,” said Bottelson, who has Athetoid cerebral palsy, a disability that causes involuntary movements, or lack of muscle control. As she has said, so she has done. Bottelson worked with staff at PRI to start a business, create a website, and sell her artwork. Her canvas drawn creations are applied to items such as keychains, T-shirts, magnets and bags to sell. Often painting animals and nature scenes, she also makes cards. The nonprofit program provides a studio, equipment, paint and brushes and Bottelson supplies the canvas material. Finished products are sold at local art shows and online. This vital connection to the day program, its studio and staff have been a bedrock foundation in Bottelson’s life. © 2018 , ANCOR Foundation.